Fabulous views of the harbor from the deck! Two bedrooms and a loft bed comfortably sleep 6. Comfy furnishings and colorful decor are conducive to relaxing and having fun with family and friends. Steps from Beach, boat slip available for rent. 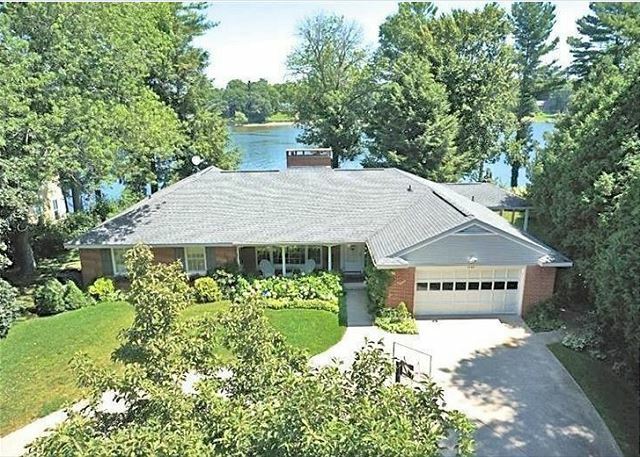 "Happy Day on Hamlin" is a charming 4 bed home with private frontage and dock on beautiful Hamlin Lake just north of Ludington, Michigan. 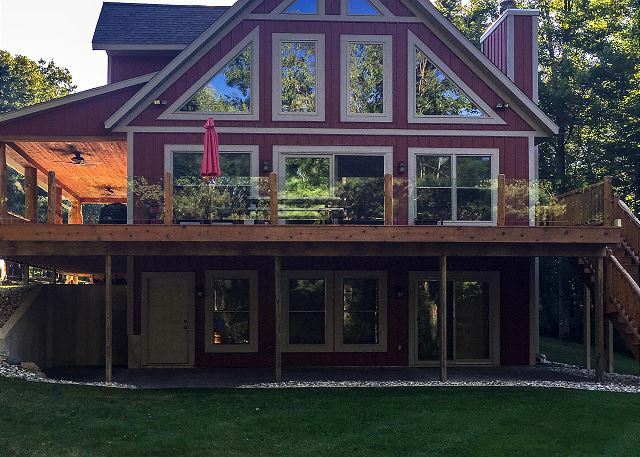 Private deck overlooking the lake, spacious, with room to sleep 10! 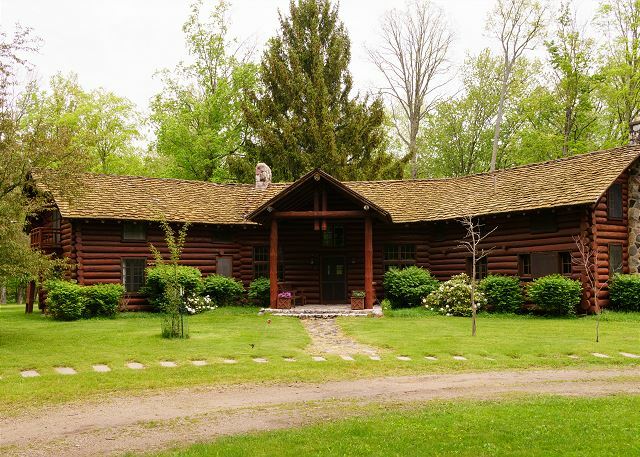 The ultimate property for your up north vacation! 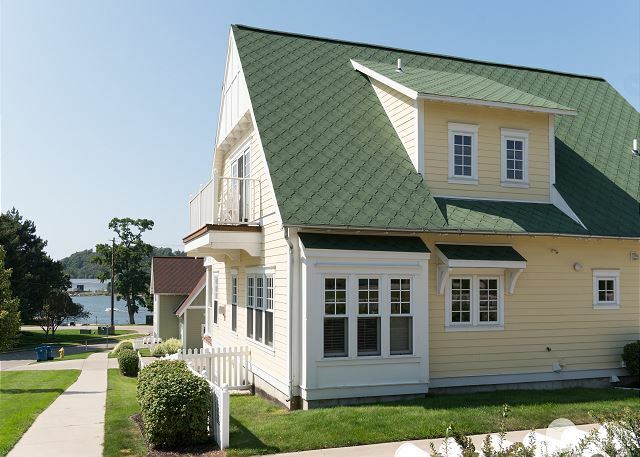 Timbershores will astound you with its beautiful views of Lake Michigan and private beach access. Your days will be spent soaking in the sun and playing in the water! 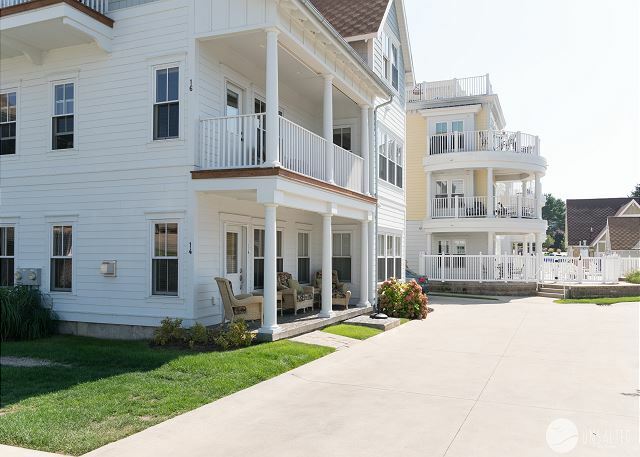 The Chesapeake unit at "The Beach House" in Holland is a spectacular three story condo unit overlooking Lake Macatawa, just a short walk to Holland State Park and Lake Michigan, and includes access to gorgeous amenities. Your stay at My Blue Haven calls for lots of beach days, sunshine, ice cream, bike rides, and memories made. Come check it out! We hope you will leave feeling relaxed and refreshed. Your family will love their time in this classic Lake Michigan cottage on the highly sought after 5 Mile Hill area of Grand Haven. Just a short walk down the hill is the State Park Beach and the popular Boardwalk and Lighthouse pier. 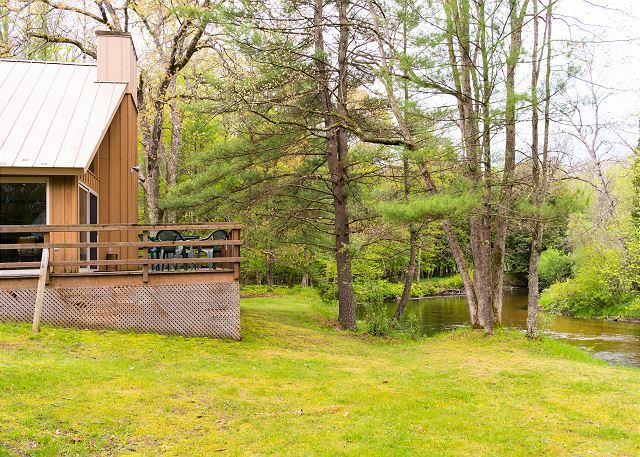 If fishing is your thing, or a family vacation away from it all is your desire, you will love this cabin that sits on a bend in the Pere Marquette River. The beauty both inside and outside this cabin will have your family coming back year after year. Your summer days will be well spent in this beautiful 3 bed, 2.75 bath home tucked in the private Macatawa Hills Association in Holland, MI. A shared, private Lake MI beach is just down the road. Come check it out! M Condo soars above the city and the channel - you will fall in love with Grand Haven and this Harbourfront Penthouse! It's spacious, beautifully decorated, fully stocked and oh so comfortable. You don't want to miss out on this one! Welcome to your luxurious home away from home. 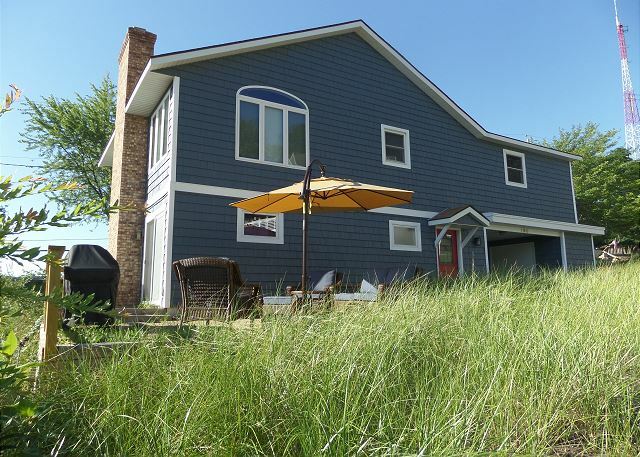 This 4 BR, 3 BA home is right on Lake Michigan, just north of downtown Manistee. It's spacious, great for multi-generational travel, and has room for 10 guests. Bring the entire family for an unforgettable week on Lake Michigan. With three separate floors, each with it's own kitchen and bathrooms, it's the perfect place for a multi-family vacation. Beautiful views, private lake-frontage and an adjoining extra lot. 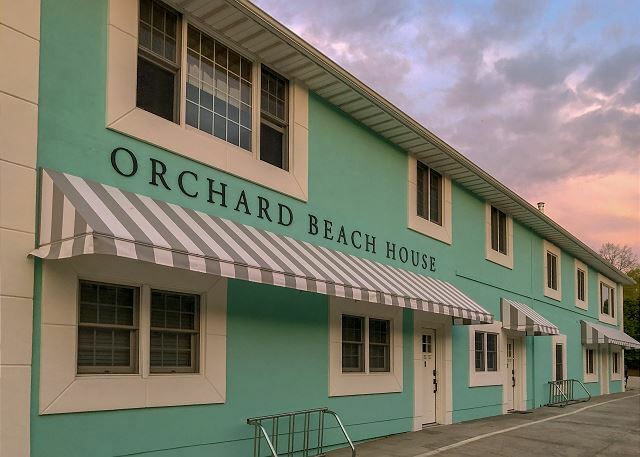 Beautiful, spacious, and ideally located home directly next to the beach and along side the harbor. Sits just next to the beach to the west,and right next to the harbor. 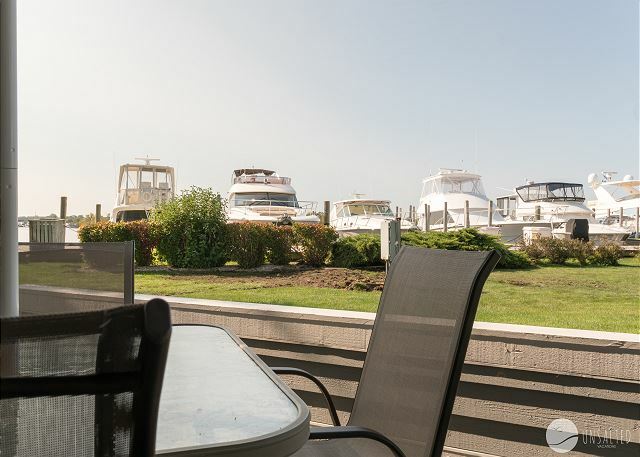 Perfect for a small group; located on the ground floor across from the Grand Haven Channel, Chinook Pier, the old train depot, splash pad, ice cream, miniature golf, and charter boat fishing. Close to Harbor Island, downtown, shopping, and the beach! 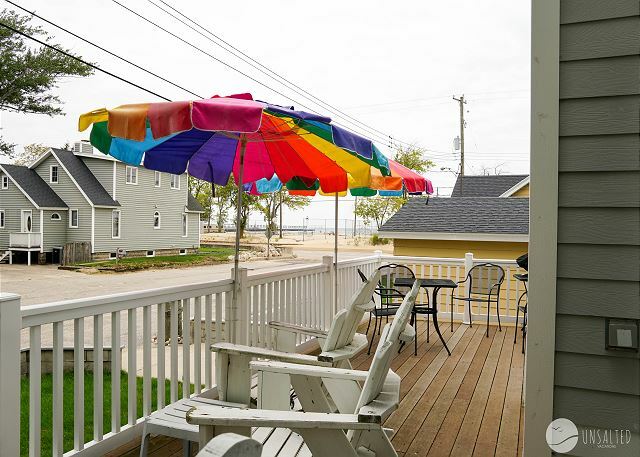 "Carefree Cabana" is in the highly sought after Grand Haven Cottages Association. 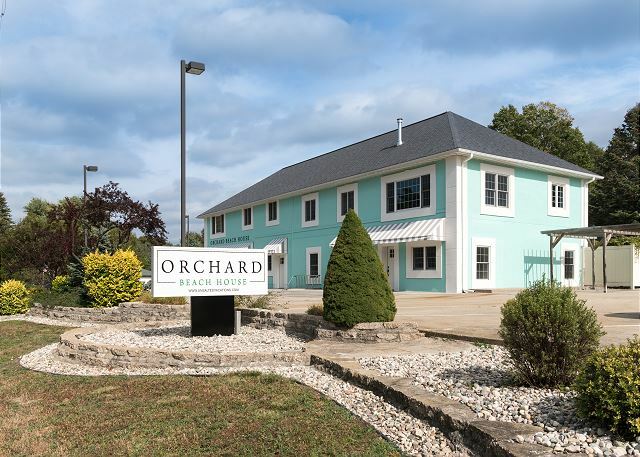 It is in close proximity to Lake Michigan, farmers market, splash pad, American Legion, YMCA, yoga studio, shopping, and more! This vacation property is perfect for a family looking for a quiet spot, but still close enough to all the Grand Haven action. Enjoy all sorts of fun things near by: the splash pad, shopping, restaurants, mini golf, the farmer's market, and more. 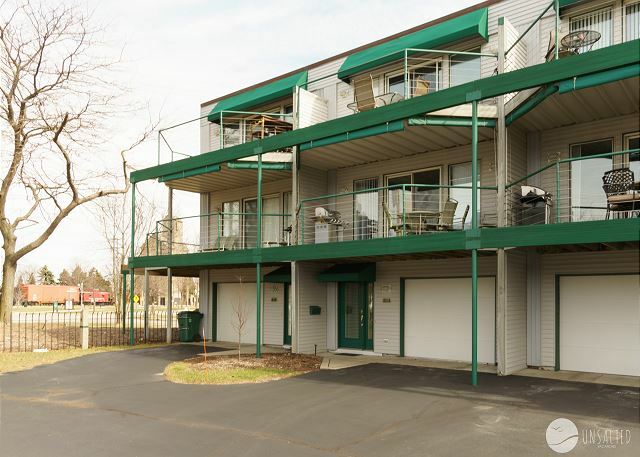 Bright and well decorated 1 bedroom end unit condo facing the boat slips and the Grand River in a fantastic location in the Village of Spring Lake. This beautiful two bedroom, one bath apartment has recently been remodeled from top to bottom. What is even better, is that it sits just one block up from the channel. Enjoy being close to the beach and to downtown. This spot can not be beat! Enjoy the dog days of summer from the large deck that has an amazing, million dollar view of the Lake Michigan! Happy Indeed! That is what you will be at Happe House. 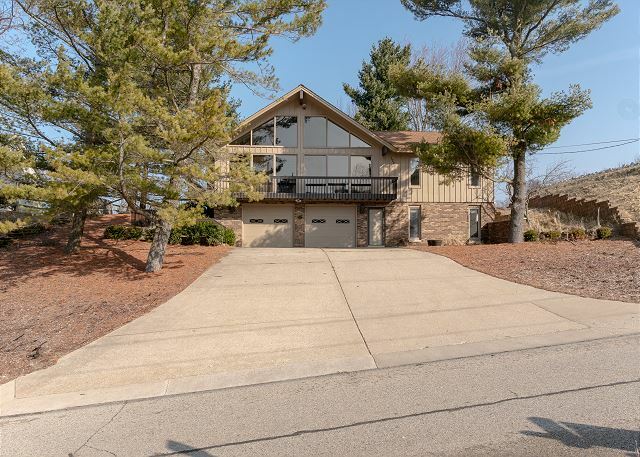 Spectacular home overlooking Lake Michigan, sitting across the street from the beautiful 5th Avenue Beach in Manistee. 3 bedroom, 3 bath, spacious unit with private deck overlooking the water. The "Beach House" is the perfect place for your vacation! 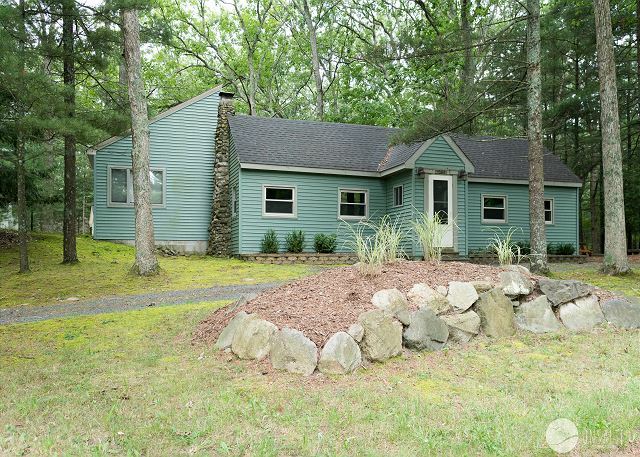 You will fall in love with this simple 2 Bedroom, 1 Bath home in the Village of Spring Lake. Newly remodeled and simply decorated, it's the perfect place to relax and unwind. New 2 BR, 1 BA Condo in the Edgewater Condominium building! Watch freighters pass by from the comfort of your own private balcony. There is so much to love in this tastefully decorated, downtown condo. The location, furnishings, open concept floor plan, the view and balcony, all attribute to its wonderful accommodations. It's luxurious and private, yet close enough to all the action. 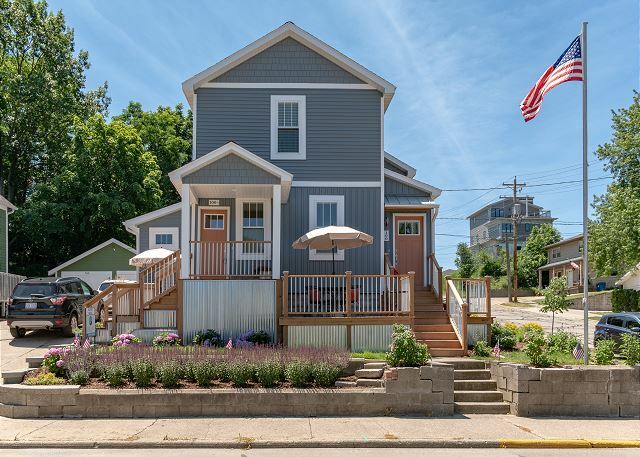 "Madison Breeze" is a charming remodeled home in Downtown Grand Haven located close to all the downtown restaurants and shopping. Happy Haven is located in the highly sought after Harbourfront Condos. The condo has a great location close to downtown and just a short walk to the beach. There's no better place to spend your vacation other than in the heart of Grand Haven! 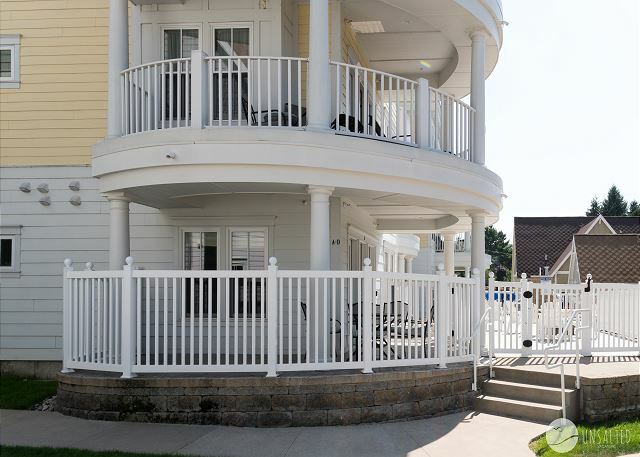 This cottage-style condo features 2 BR, 2 BA and is perfectly located close to all of Grand Haven's largest attractions. 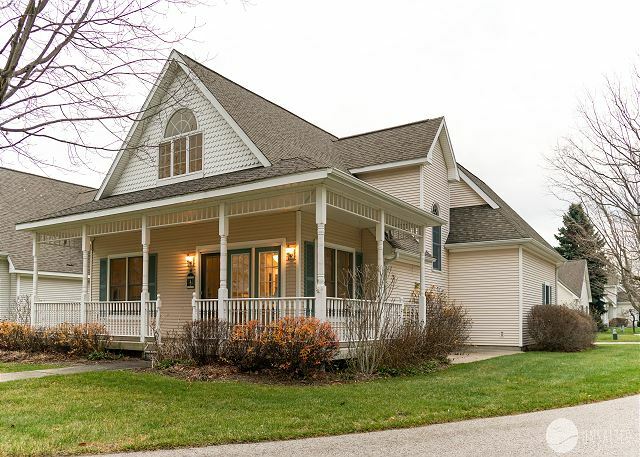 Enjoy the tranquility and beauty of all that Lake Michigan has to offer in this cozy 4 Bedroom, 1 Bath cottage. This newly remodeled and updated condo comes with access to the rooftop deck, a perfect spot to watch the fireworks or musical fountain. 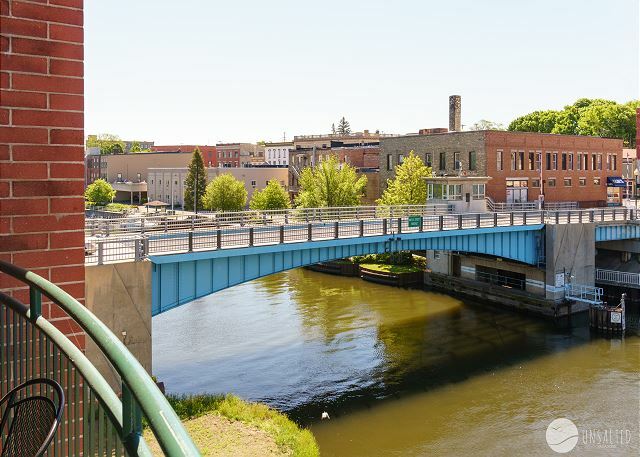 "River Watch" is a luxurious condo located in downtown Manistee along the Manistee River. It features two bedrooms and two bathrooms, with the capability to sleep up to 7 guests. Come see what this quaint city has to offer! 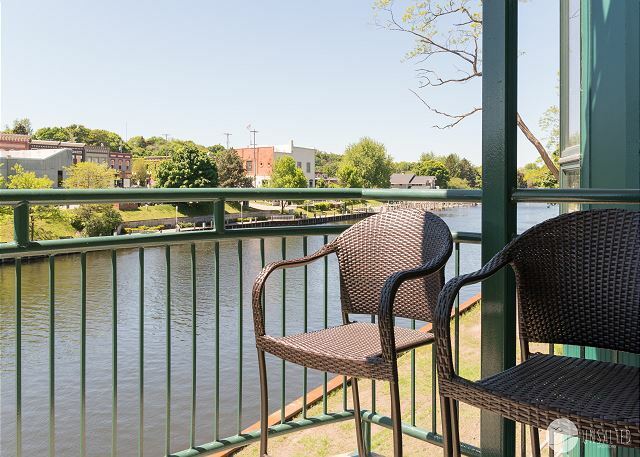 Just on the other side of the bridge, this Spring Lake condo includes pool access via Barrett Marina, easy access to downtown Grand Haven and is within walking distance to restaurants and local marinas. 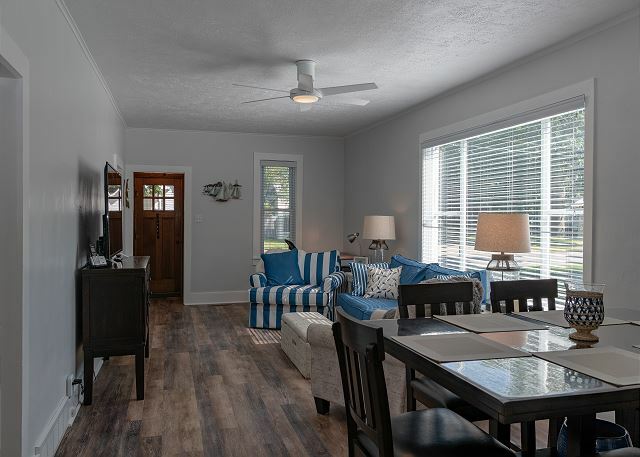 You will love the neighborhood feel of this adorable 3 bed, 1 bath home. It's a perfect landing place for families to explore Manistee and nearby areas or visit the beach. You will love the beautiful grassy yard and kids play shed! Sunset Views is perched on a dune overlooking Lake Michigan and Grand Haven State Park, just a few steps away from the sandy beach. Come relax and enjoy this four bedroom cottage fit for a larger group. Beautiful remodeled home in Spring Lake, with a private dock and deck area on Spring Lake just a few hundred feet from the front door. Looking for a one-of-a-kind vacation? Slice of Haven has water views, spacious living quarters, and is one block from downtown. Enjoy a morning walk on the boardwalk, the day at the beach, and then unwind on the balcony for an unbeatable Michigan sunset. Stay in one of the most prestigious buildings in downtown Grand Haven. This Grand Theatre condo is within walking distance to restaurants, bars, shopping, and the waterfront. In the Red is in the highly sought after Grand Haven Cottages Association. 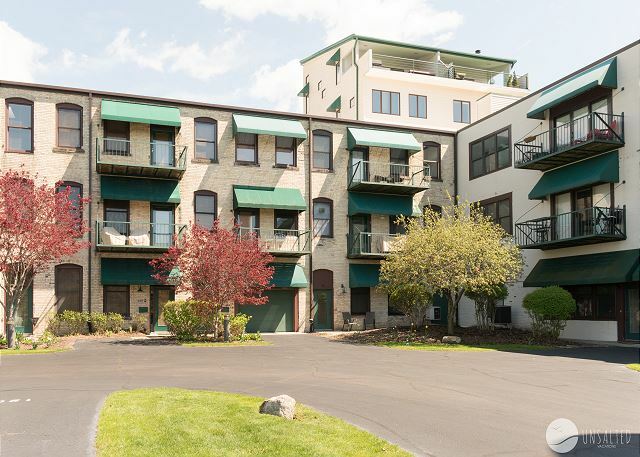 It is in close proximity to Lake Michigan, farmers market, splash pad, American Legion, YMCA, yoga studio, shopping, and more! 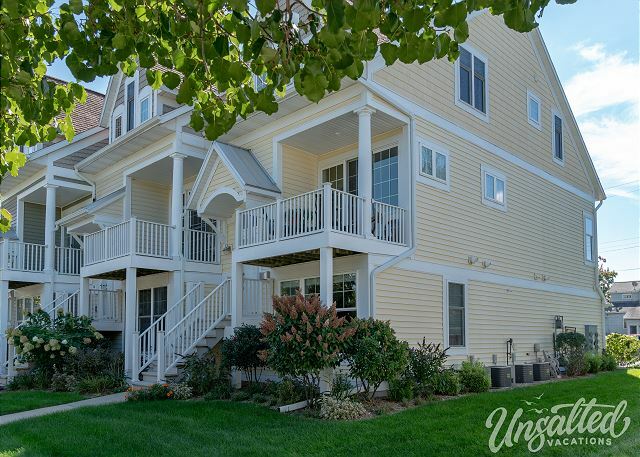 This 3 story Grand Haven condo has 2 Bedrooms, 3.5 Bathrooms with more room than you would imagine. With two Murphy beds in the upstairs and downstairs, it's the perfect place for a multi-family vacation right in the heart of downtown. 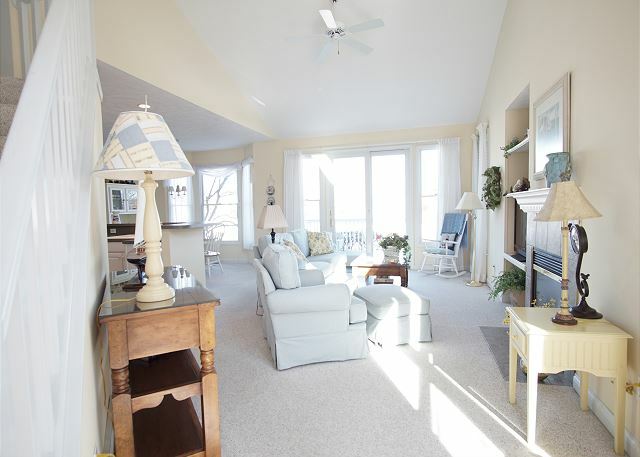 Spacious 3 bedroom, 2 bath cottage just up the dune from the Grand Haven State Park and beach. 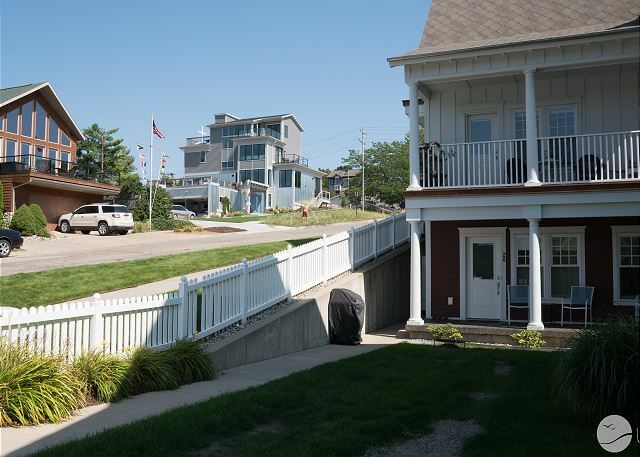 Enjoy incredible views of the lake, pier, and lighthouse all from the comfort of this private, homey rental. "West Wind" features 3 bedrooms, 2.5 baths and has been remodeled within the last few years. The best part is the fantastic views of Lake Michigan and the Grand Haven State Park! You won't want to leave this home! You have front row seats to the amazing sunsets Grand Haven has to offer. Happy Indeed! That is what you will be at Happe House. Looking for a Beach vacation? 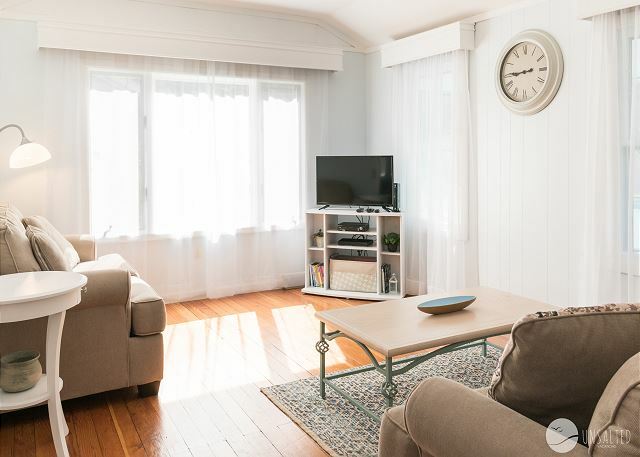 You will love the classic cottage feel of this 4 Bedroom 3 Bath Chalet with plenty of room for the whole family and the convenience of the beach right outside your bedroom door. This charming 5 Bedroom, 3.5 Bath Cottage is the ideal location for a family beach vacation when you want to get away from it all but still be close to everything! 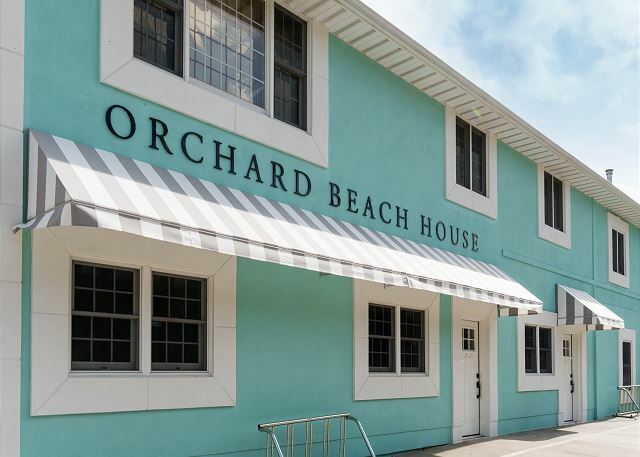 The Orchard Beach House is a beautiful resort building located just across from Orchard Beach State Park, just north of Manistee, Michigan. Gorgeous 3 BR, 2.5 BA, cottage across from the Grand Haven Channel within walking distance to the beach, pier, and downtown. Immaculately decorated 2 BR, 2 BA, condo across from the Grand Haven Channel within walking distance to the beach, pier, and downtown. Enjoy incredible views of the channel and Dewey Hill (Musical Fountain)! Lay in the shade or get a suntan on the large dock! If the weather isn't cooperating, don't worry - there is still plenty to do in the lower level. Enjoy the indoor grill and a game room with a pool table and ping pong! Clean and cozy condo on-the-harbor with just a short stroll to the indoor or outdoor pools and 5th Ave Beach. Queen (wall/Murphy) bed and queen sofa-sleeper, full kitchen, 3-way fireplace, deck overlooking marina, cable TV and Internet. Cozy 1 BR, 1 BA condo in the Edgewater Condominium building in downtown Manistee. Walk to restaurants, bars, boutique shops, the beach, and more! Let "Freshwater Cove" be your next vacation destination! This two bedroom condo is located in the heart of Harbor Village. The indoor and outdoor pools, fitness center, and spacious lawn, are right outside your door. Looking to get away from it all? In The Woods is exactly where you need to be! 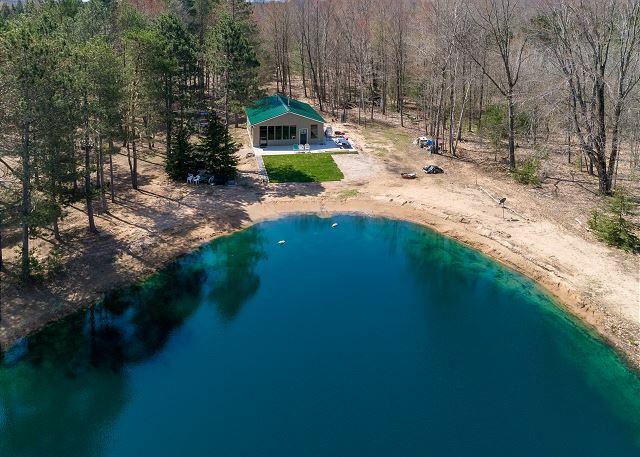 This newly remodeled 2 BR, 1 BA cabin sits on 8 acres in the Manistee National Forest and has a private pond stocked for fishing and ready for swimming. "Take me to the River" is a beautiful 2 bedroom, 1 bathroom condo perched right along the Manistee River. Watch freighters pass through right from your spacious balcony or unwind inside among the beautiful furnishings. 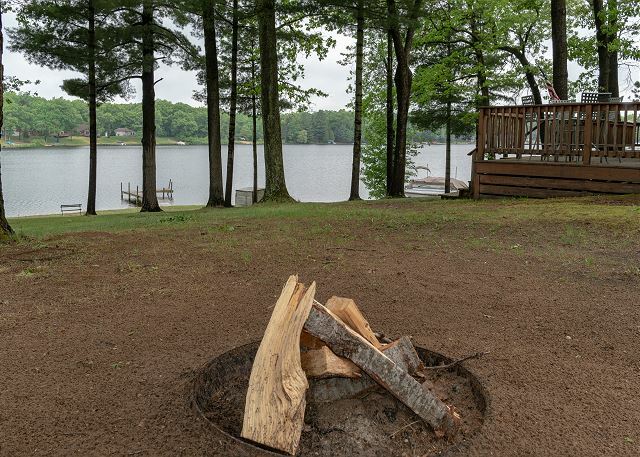 The Green Cottage is a charming northern retreat situated just off of beautiful Bass Lake, and a stones throw from the beautiful shores of Lake Michigan. 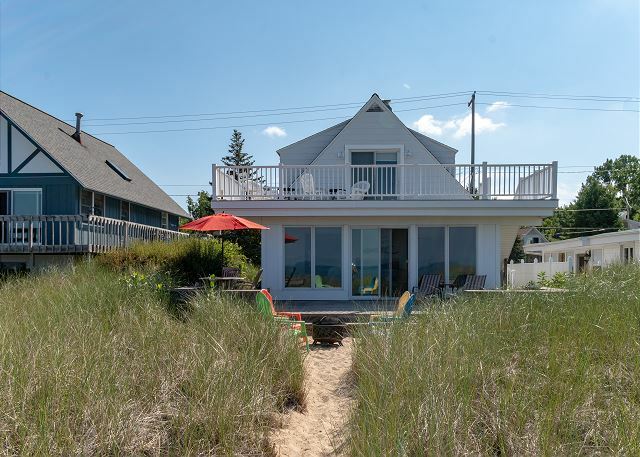 This classic lake cottage is nestled in tree-covered dunes just steps away from the sugar sand beaches of Grand Haven. Relax amid gentle lake breezes on the large deck and screened-in porch. 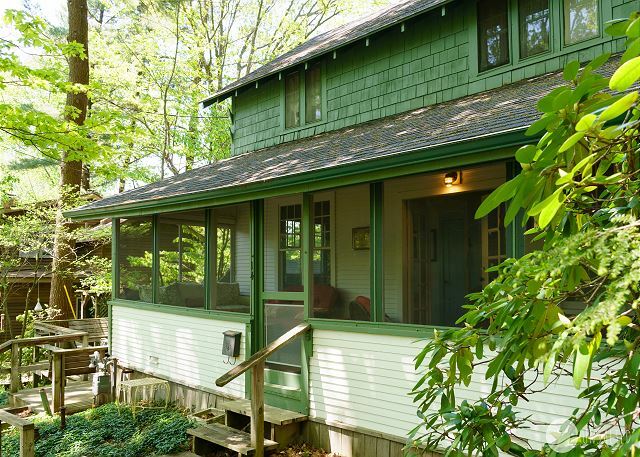 Steps away from Lake Michigan, comfortably sleeps 9 people and is sure to delight. Whether relaxing on the spacious front porch or playing in the yard, it offers plenty of room to kick back and enjoy its charm. 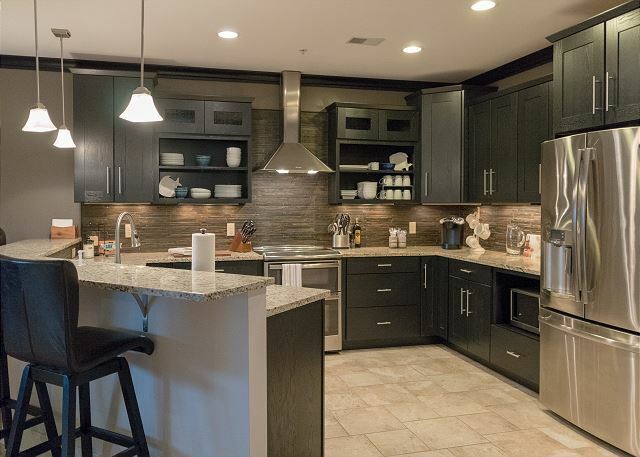 This modern condo has everything you need: ideal location, fully stocked kitchen, king size bed, bed and bath linens, a garage, two decks with plenty of furniture, the list goes on. It will have you coming back year after year! Classic but well kept cottage on the shores of Long Lake in Walhalla. Private frontage and private dock, large spacious property, and incredible views from every window make this an ideal summer vacation destination! Rare "Cliff House" built on a high bluff with incredible views of Lake Michigan and over 200 feet of private frontage. Watch bald eagles fly, look out over the islands, and take in a night time view of Charlevoix to the south. Spectacular property! 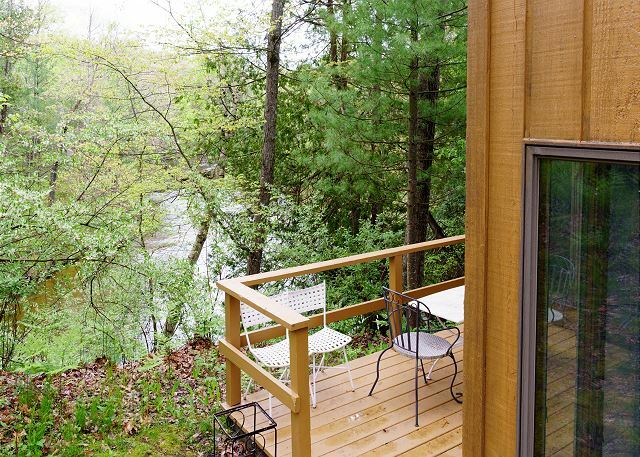 Cabin 1 is a clean and well kept cabin nestled directly on the shore of the Pere Marquette River. 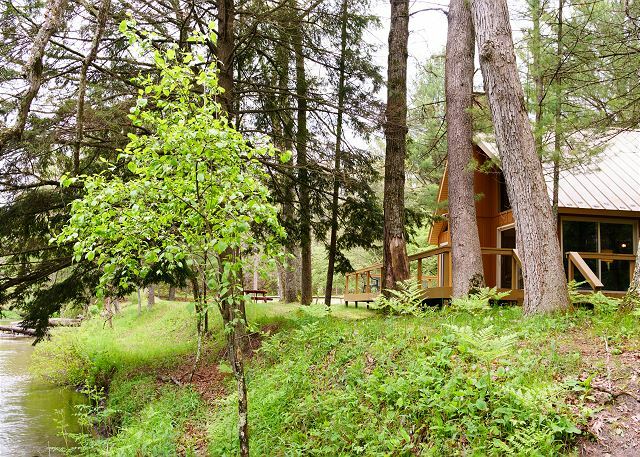 It sits on a bend in the river with incredible views of the river, and enough sleeping for 8 people in beds. Cabin 2 is a clean and well kept cabin sitting directly on the banks of the Pere Marquette River. It sits on a beautiful bend in the river with incredible views of the river in both directions, and enough sleeping for 8 people in beds. Point Comfort is located in popular Highland Park community and is the quintessential beach vacation you are looking for. Directly across the street from the State Park, you will enjoy easy access to the beach and beautiful Grand Haven sunsets at night. 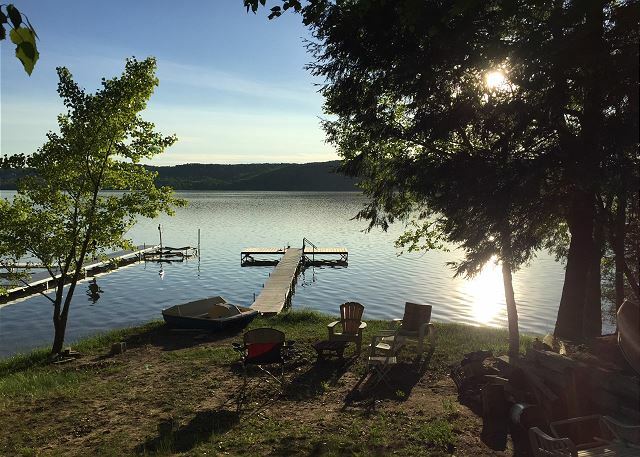 The Lime Lake Cottage is a beautiful, well kept cottage on the shores of beautiful Lime Lake in Leelenau County. Well stocked, tastefully furnished, spacious and comfortable, it truly is the ideal place for your family's Northern Michigan vacation!